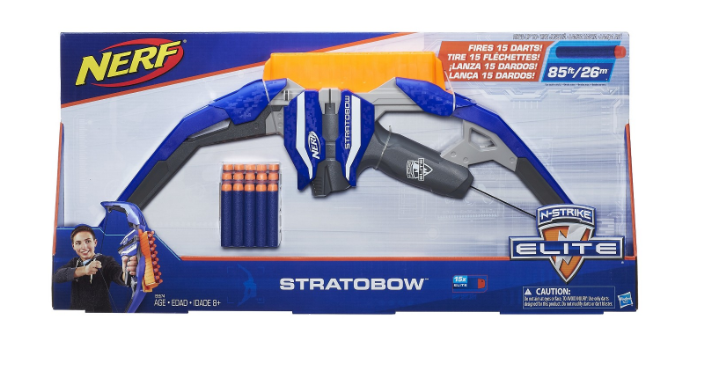 Target has the NERF N-Strike StratoBow Bow for only $16.78! (Reg. $30) This Nerf N-Strike bow has an integrated 15-dart clip that automatically indexes to the next dart. Plus, use your Target REDcard to save an additional 5% off and score FREE shipping.